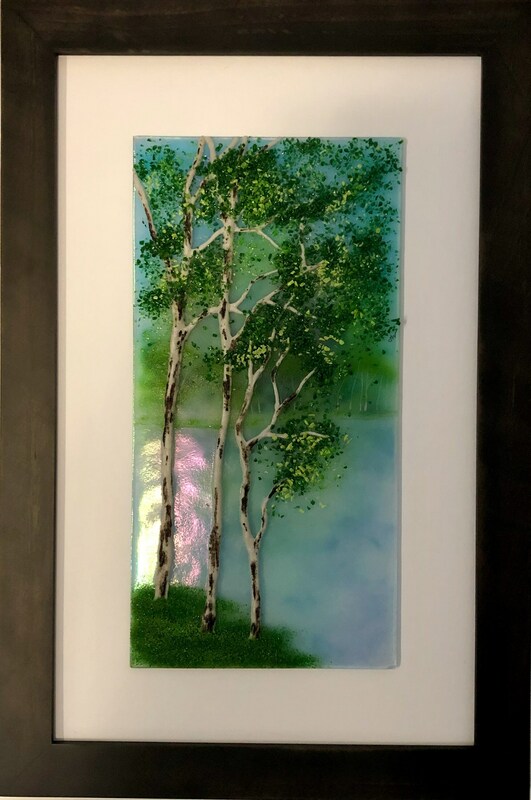 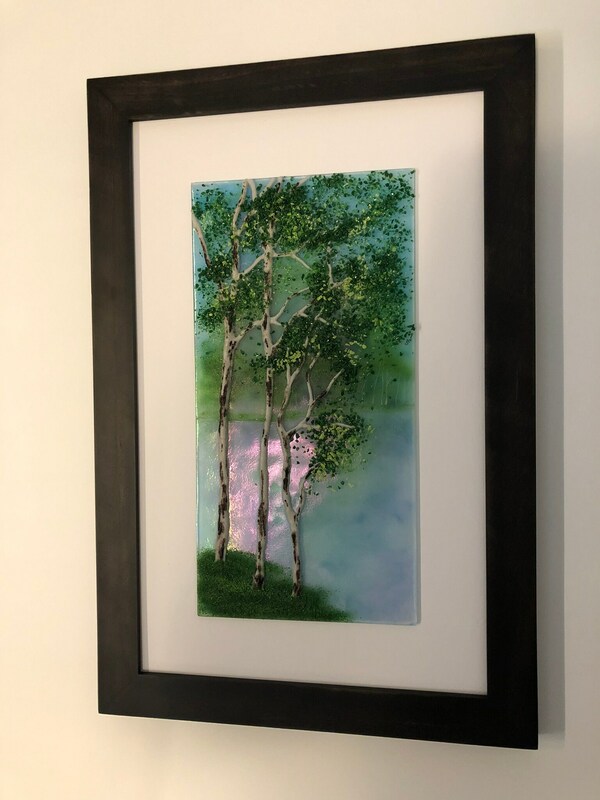 Bring nature inside with this beautiful handmade fused glass panel. 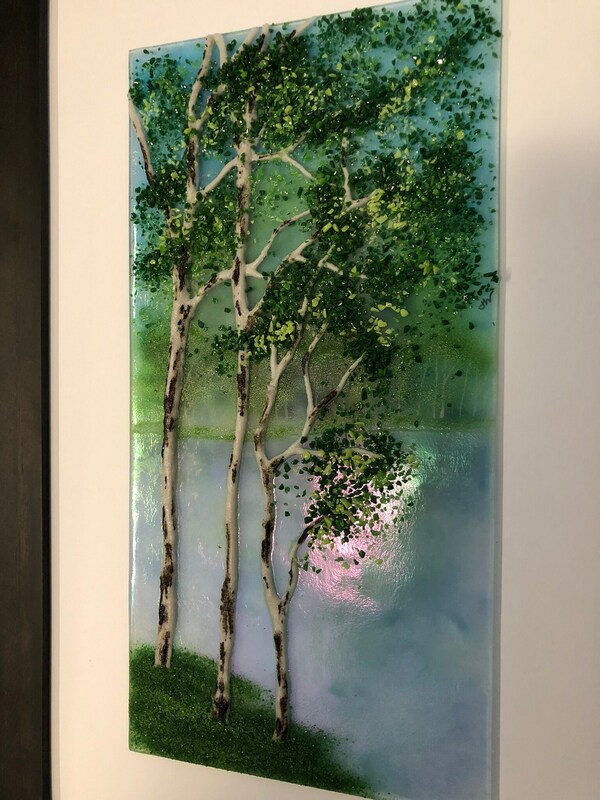 This panel has an amazing iridescent back ground with a beatiful blue sky and trees. 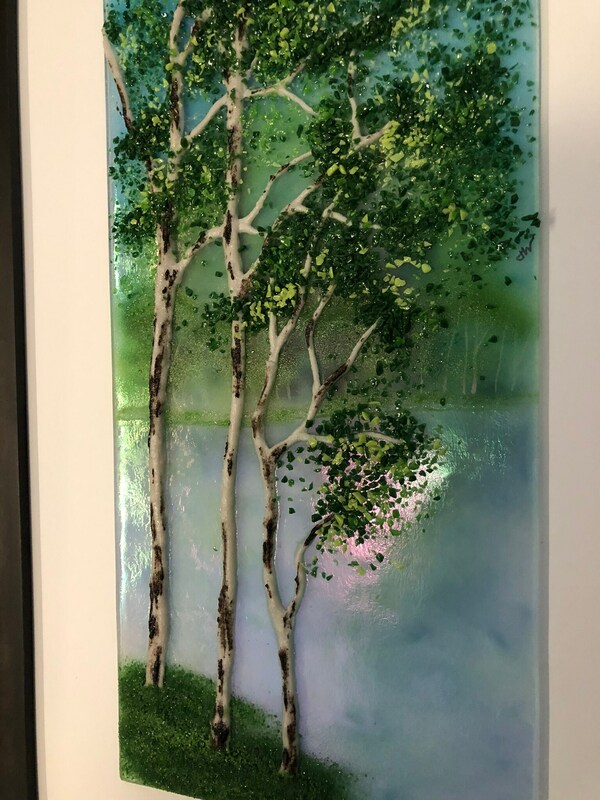 The trees and grrass give amazing depth and texture and would be a conversation piece in any home. 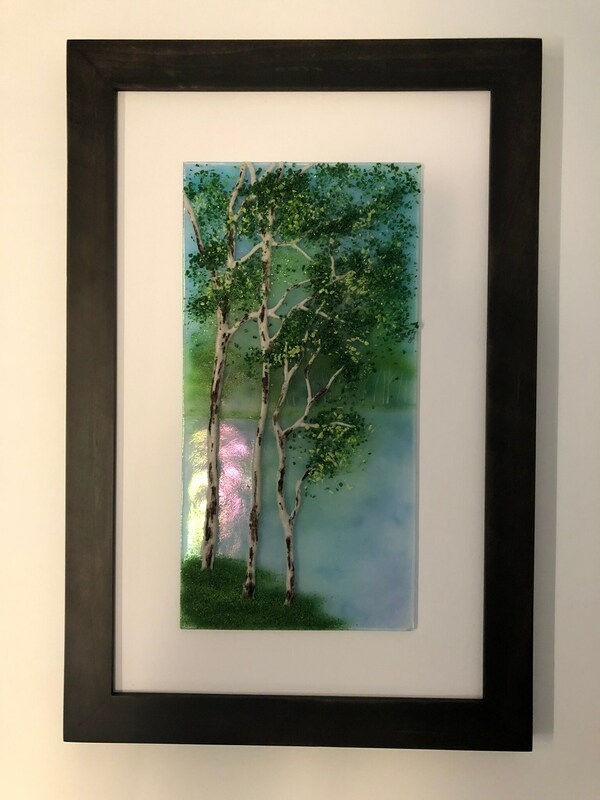 This beautiful piece of art is measures 12 inches x 18 inches framed. 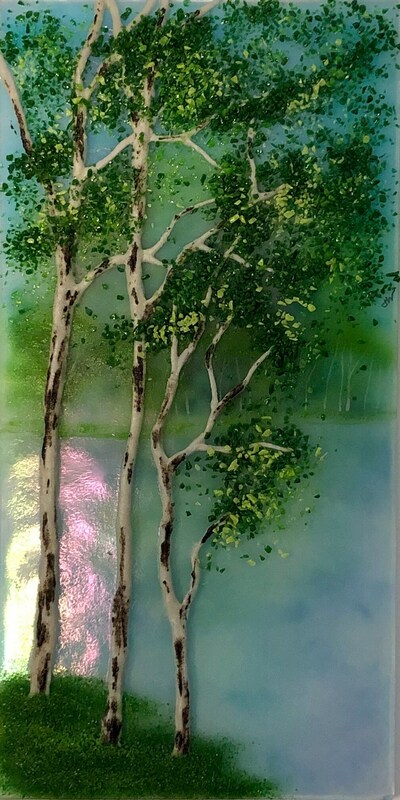 It took approximately 150hours of kiln time to make. 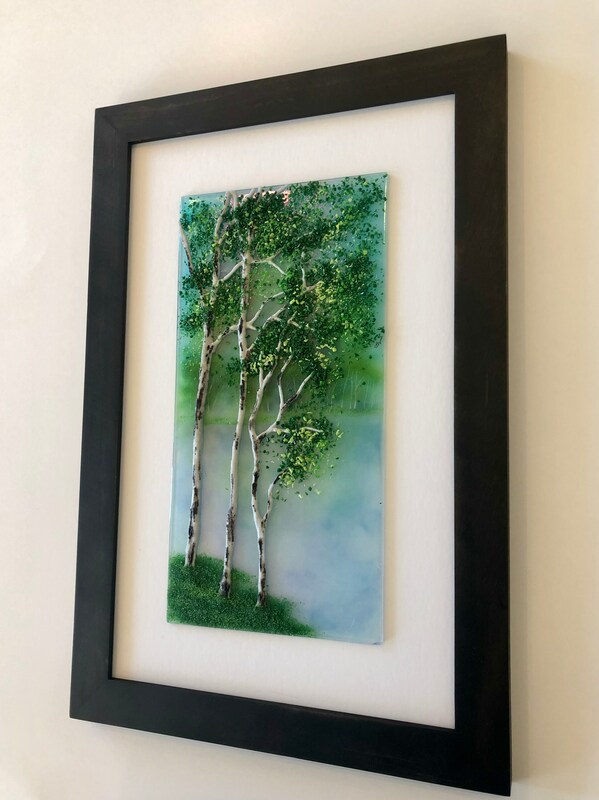 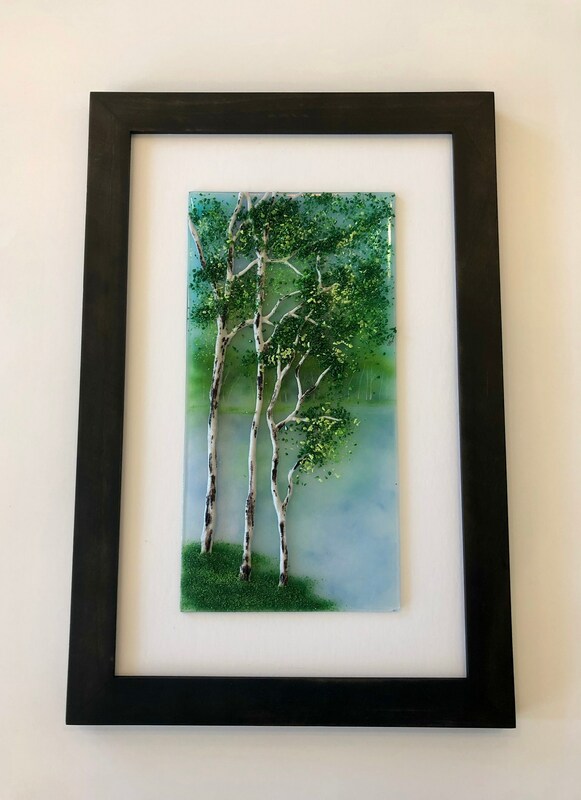 Each layer is made using only glass the final layer adds the most depth with three dimensional trees that give amazing texture! 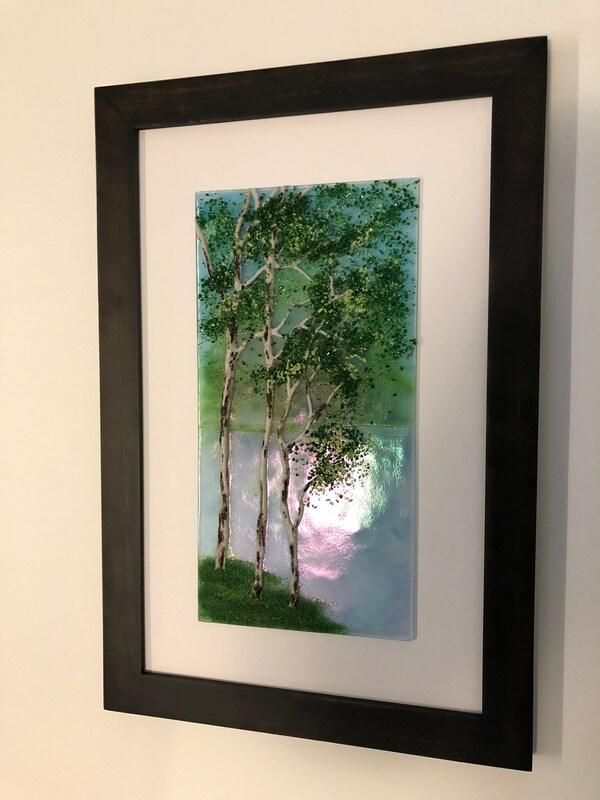 It's is accented with a beautiful dark brown frame.